2015-11-06: PC installed for radio purposes, such as logging, SDR, digital communication and all other HAM stuff. 2016-03-24: PC reinstalled with better hardware and software configuration. 2016-08-21: We moved some computer gear to the VERON club, shifted some physical storage around and we added more permanent mains power. This project consists of several sub-projects related to radio reception and transmission at RevSpace. One of the projects we are starting today 13/03/2016 is (Packet radio) on 27MC. For that we have put an vertical antenna on the roof of the SparkShack2. Crashjuh PD2RVK is working on a hand tuner. Crashjuh PD2RVK, Ronald PA7RL and Marcel PA7MB have hung a folded dipole between two lantern poles above the SparkShack2. On 23 January, we will extensively test the antenna in this position and make adjustments where necessary. In the sequel, we will improve the structure so a fast and proper assembly and disassembly can take place. 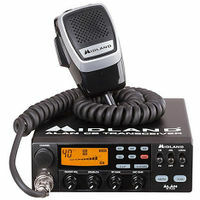 Currently these PC is dedicated to HAM radio reception, transmission, logging, controlling and monitoring. This page was last modified on 16 September 2016, at 18:04.